How to Walmart money card close account? To cancel Walmart Money Card, you have an option to cancel by phone. You can call at 877-937-4098 to Money Card customer service. Then, press number “4” from the keypad to contact customer support center. Provide details as per instructions received from the system. Generally, you will ask to type your Walmart Money Card number. After that, the call will be transfer to customer support agent. An agent will be there to help you. Let him know about you. 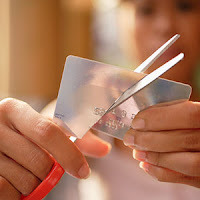 Tell him that you want to cancel your transactions with Walmart Money Card account from now and you want to close the card. The agent will ask your personal information such as your birth date, address or your Social Security number to verify account holder. He will insert your request to close the account. Once you confirm that your card is closed, throw or discard your card. Write a letter to Walmart manager requesting for closing your card. The letter should contain your name, address, account number and telephone number along with a brief application. It should be covered in envelope affix with the proper stamp and send it to Walmart Money Card's customer service address. They will call you to verify your request. A representative may ask your personal details like your birth date or your Social Security number for confirmation. You may receive a letter informing you that your account is closed now.